Nosocomial infections are one of the major causes of morbidity in the Neonatal Intensive Care Unit (NICU). Known risk factors include birth weight, gestational age, severity of illness and its related length of stay, and instrumentation. The purpose of this article is to determine the occurrence of Nosocomial Infections (NIs), including infection rates, main infection sites, and common microorganisms. A retrospective study was conducted between June 2015 and December 2016. The incidence of nosocomial infection was 16%. The primary reasons for admission were intauterin growth retardation (52.5%). Klebsiella Pneumoniae was the most commonly identified agent in the blood cultures and in the hospital unit (43.6%). The mortality rate from nosocomial infection was 52.6%. The proportion of infected newborns with a lower than normal birth weight was predominant (58.13%). Thus, prevention of bacterial infection is crucial in these settings of unique patients. In this view, improving neonatal management is a key step, and this includes promotion of breast-feeding and hygiene measures. Keywords: Epidemiology, Hospitalization, Morocco, Neonatal, Nosocomial infection, Congenital heart disease. © 2019 Helyaich et al. Nosocomial infections, particularly frequent in neonatal settings, due to the decrease in the patient's defenses and the multiplication of invasive procedures. They represent a major public health problem [1Ramasethu. Matern Health Neonatol Perinatol 2017; 3: 5. [PMID: 28228969] ]. They are a serious problem for newborns admitted to neonatal and intensive care units. The human and financial costs of these infections are considerable due to their high morbidity and mortality and the prolonged duration of hospitalization [2Chen YC, Lin CF, Chen JC, et al. Reduced nosocomial infection rate in a neonatal intensive care unit during a 4-year surveillance period. J Chin Med Associat 2017; 80(7): 427-31.]. The objective of this study was to determine the incidence and epidemiological profile of Nosocomial Bacterial Neonatal Infections (NNBIs) in the Neonatal Intensive Care Unit (NICU) of the Mother and Child Hospital in Marrakech. This is a retrospective descriptive study. The Neonatal Intensive Care Unit at Mohamed VI Marrakech University Hospital. It is a level III care facility; due to its importance in terms of the supply of care in the Marrakech - Safi region and the use of high technology, it is a regional reference service for neonatal intensive care. The study covered the files between June 2015 and December 2016, it was based on farm returns. The target population for this study was newborns hospitalized for more than 48 hours in neonatal intensive care units. We have collected 160 cases with nosocomial infection with the age of 28 days or less. The data were collected on a pre-established farm return containing different risk factors. Risk Factors: weight, age, ventilation, intubation, reason for hospitalization, gestational age, central vascular catheter, peripheral vascular catheter, length of hospitalization, force-feeding, transfusion, survey, personal training, handwashing, gloves, work clothes, isolation, hospital infection control service. During the period from June 2015 to December 2016, 945 newborns were admitted to the neonatal intensive care unit, of 945 newborns, 25 spent less than 48 hours in the unit. A total of 160 newborns had experienced an episode of nosocomial infection, with a cumulative incidence of 16%. The age of admission varied from day one to day 28, the average age of hospitalization of infected newborns was about 5 days. The weight of infected newborns ranged from 1000g to 4800g with an average of 2544g. The proportion of infected newborns with a lower than normal birth weight was predominant (58.13%). However, there is not a high frequency of nosocomial infection if the weight was normal (22.5%) or in the case of macrosomy (19.37%). The average gestational age was 36SA+4 days. Premature babies accounted for 43.74%. There was a male prevalence of 54% among these infected newborns (Table 1). Admission pathologies were dominated by intra uterine growth retardation (52.5%) (Table 2). There were 130 infected newborns who had received respiratory assistance. The latter 55 had non-invasive ventilation and 75 had invasive ventilation. 36% of newborns had a gastric tube attached whereas 10% had a urethral catheter attached (Table 1). Resuscitated newborns accounted for only 7.5% of all newborns with nosocomial infection, while non-resuscitated newborns accounted for 92.5%. Out of 160 newborns who had a nosocomial infection, 95 were fed artificial milk and 65 newborns were breastfed (Table 1). In our study, 140 of infected newborns had a peripheral vascular catheter and only 20 who had a central vascular catheter. The infected newborns with nosocomial infection with a hospital stay of less than 10 days represented 11%, hospital stay between 10 days and 30 days represented 41%, and hospital stay greater than 30 days represented 52% (Table 1). Klebsiella pneumoniae accounted for 43.6% (n = 109) of all isolated germs. Staphylococcus coagulase negative accounted for 25.2% (n = 63) of the isolated germs (Table 3). A blood culture was routinely performed on admission to the unit for all hospitalized newborns, irrespective of the admission‘s diagnosis and before the antibiotic therapy. Blood culture samples were taken in a peripheral vein. The method of dermal antisepsis prior to collection consists of brushing with 0.5% alcoholic chlorhexidine. The lid of the hemoculture flasks is disinfected. The microorganisms isolated in the blood cultures are described in Table 1. Positive blood cultures with Coagulase Negative Staphylococci (CoNS) were 63, representing 25.2% of the total of the patients and 48% of the positive blood cultures. Of the positive blood cultures by CoNS, 22 cases were incontestable because no clinical or biological evidence of systemic infection was found. The overall rate of contaminants was 22/160 (13.75%). In 41 cases, the CoNS was responsible for a true infection, including a case of sepsis. The CoNS were multisensitive in all cases. The most frequently encountered microorganisms were mainly composed of multiresistant germs, with the predominance of Klebsiella pneumoniae in 109 cases (43.6%). All these germs are multiresistant. These germs were resistant to probabilistic antibiotic therapy used in the neonatal intensive care unit (3rd generation cephalosporin combined with Gentamicin). Klebsiella pneumoniae, Enterobacter Cloacae and Serratia marcescens were resistant to cephalosporins, sensitive to Imipenem, Amikacin and Colistin. Acenitobacter Baumannii was sensitive only to Colistin. Total the 160 newborns who developed nosocomial infection, 90 (56.25%) died during hospitalization. Nevertheless, nosocomial infection could not be incriminated as the main cause of death. Given the other associated pathologies in newborns. The evolution was favorable in 70 cases (Table 1). Nosocomial Infection (NI) is that systemic or localized condition observed during hospitalization, resulting from an adverse reaction to an infectious agent or its toxins, with no evidence that the infection was present or at incubation period at the moment of admission. The time between admission and infection onset is from 48 to 72 h in most cases and up to 5 days of stay in fungal infections, according to the invasive procedures or intravascular therapy undergone by the patients [3García H, Torres-Gutiérrez J, Peregrino-Bejarano L, Cruz-Castañeda MA. Risk factors for nosocomial infection in a level III Neonatal Intensive Care Unit. Gac Med Mex 2015; 151(6): 711-9. [PMID: 26581528] ]. NIs are serious and common complications in Neonatal Intensive Care Units (NICUs), which look after seriously ill patients, with lengthy hospital stays and frequently undergo invasive procedures. NIs are associated with increased morbidity and mortality, material and human costs and hospital length of stay. The main characteristic of nosocomial infections observed in intensive care is that they are directly or indirectly associated with invasive substitution techniques used to compensate for a vital failure, which most often requires the placement of foreign bodies such as catheters, probes, etc. Thus, the first-line defenses of the skin, mucous membranes and sphincters are short-circuited [4Burn-Buisson C. Risque et maîtrise des infections nosocomiales en réanimation. Reanimation 2005; 14: 463-71. [http://dx.doi.org/10.1016/j.reaurg.2005.09.003] ]. In American hospitals participating in the CDC's National Nosocomial Infection Surveillance System (NNIS) network, Jarvis reported IN rates in 1987 ranging from 5.9% to 30.4% in neonatal intensive care units [5Jarvis WR. Epidemiology of nosocomial infections in pediatric patients. Pediatr Infect Dis J 1987; 6(4): 344-51. [http://dx.doi.org/10.1097/00006454-198704000-00003] [PMID: 3588 109] ]. The most recent French data on neonatal NIs cover the period 1994-1996. These are those of the REAPED (Pediatric Reanimation) network [6Deslanques L, Mathieu G, Gottor S. Infections nosocomiales en réanimation pédiatrique. Expérience du reseau REAPED Amette Blackwe M. 1996; 19-28.] and Guilbert [7Guilbert M, Boithias C. Infections nosocomiales néonatales MT pédiatrie 1999; 2: 95-103.]. Indeed, the 18 services analyzed in the REAPED study, the NI rate is 7.2% in the neonate and the incidence density is 5.4 per 1000 days of hospitalization [6Deslanques L, Mathieu G, Gottor S. Infections nosocomiales en réanimation pédiatrique. Expérience du reseau REAPED Amette Blackwe M. 1996; 19-28.]. In our NICU, the cumulative incidence increased from 13% during the period from September 1, 2009 to August 31, 2010 to 16% during the period from June 2015 to December 2016 [8Maoulainine FMR, Elidrissi NS, Chkil G, et al. Epidémiologie de l’infection nosocomiale bactérienne dans un service de réanimation néonatale marocain. Arch Pediatr 2014; 21(9): 938-43. [http://dx.doi.org/10.1016/j.arcped.2014.04.033] ]. In developed countries, the bacterial spectrum of neonatal intensive care Ins is dominated by Gram-positive cocci [7Guilbert M, Boithias C. Infections nosocomiales néonatales MT pédiatrie 1999; 2: 95-103., 9Mahfouz AA, Al-Azraqi TA, Abbag FI, Al-Gamal MN, Seef S, Bello CS. Nosocomial infections in a neonatal intensive care unit in south-western Saudi Arabia. East Mediterr Health J 2010; 16(1): 40-4. [http://dx.doi.org/10.26719/2010.16.1.40] [PMID: 20214156] -12Gray JW. 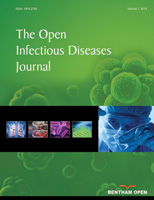 A 7-year study of bloodstream infections in an English children’s hospital. Eur J Pediatr 2004; 163(9): 530-5. [http://dx.doi.org/10.1007/s00431-004-1489-7] [PMID: 15241687] ] which is isolated in 60% of the blood cultures performed. Gram-negative bacillire largely predominant in our unit, are dominated by Klebsiella Pneumoniae infection identified in 43.6% of cases. In Africa and South Asia, the spectrum is dominated by staphylococcus aureus [9Mahfouz AA, Al-Azraqi TA, Abbag FI, Al-Gamal MN, Seef S, Bello CS. Nosocomial infections in a neonatal intensive care unit in south-western Saudi Arabia. East Mediterr Health J 2010; 16(1): 40-4. [http://dx.doi.org/10.26719/2010.16.1.40] [PMID: 20214156] ], the same spectrum has been noted in Latin American countries, Saudi Arabia and Japan [9Mahfouz AA, Al-Azraqi TA, Abbag FI, Al-Gamal MN, Seef S, Bello CS. Nosocomial infections in a neonatal intensive care unit in south-western Saudi Arabia. East Mediterr Health J 2010; 16(1): 40-4. [http://dx.doi.org/10.26719/2010.16.1.40] [PMID: 20214156] , 10Babazono A, Kitajima H, Nishimaki S, et al. Risk factors for nosocomial infection in the neonatal intensive care unit by the Japanese Nosocomial Infection Surveillance (JANIS). Acta Med Okayama 2008; 62(4): 261-8. [PMID: 18766209] ]. Klebsiella Pneumoniae infections occupy a prominent place, which have been found in most studies from emerging countries and are responsible for 55% and 68% of nosocomial infections [13Pawa AK, Ramji S, Prakash K, Thirupuram S. Neonatal nosocomial infection: Profile and risk factors. Indian Pediatr 1997; 34(4): 297-302. [PMID: 9332094] , 7Guilbert M, Boithias C. Infections nosocomiales néonatales MT pédiatrie 1999; 2: 95-103., 14Épidémiologie des infections bactériennes nosocomiales dans une unité de réanimation néonatale et pédiatrique tunisienne Med Mal Infect 2006; 36: 379-85., 9Mahfouz AA, Al-Azraqi TA, Abbag FI, Al-Gamal MN, Seef S, Bello CS. Nosocomial infections in a neonatal intensive care unit in south-western Saudi Arabia. East Mediterr Health J 2010; 16(1): 40-4. [http://dx.doi.org/10.26719/2010.16.1.40] [PMID: 20214156] , 15Zaidi AK, Huskins WC, Thaver D, Bhutta ZA, Abbas Z, Goldmann DA. Hospital-acquired neonatal infections in developing countries. Lancet 2005; 365(9465): 1175-88. [http://dx.doi.org/10.1016/S0140-6736(05)71881-X] [PMID: 157949 73] ]. The Klebsiella Pneumoniae strains of broad-spectrum and multi-resistant beta-lactamases are likely to result from the misuse of broad-spectrum antibiotics, including third-generation cephalosporins. The risk factors are of two types, constitutional, host-related or acquired, extrinsic. They are often associated with neonatal nosocomial pathology. There is a strong correlation between the incidence of nosocomial infections, gestational age and birthweight. According to the literature, the risk of NI is inversely proportional to gestational age. The incidence of IN can reach 90% before 28 weeks. The risk of NI is increased by a factor of 4.5 if the gestational age is less than 30 weeks. These figures are explained by the immaturity of immunological defenses, the absence of transplacental IgG transmission and, in the case of the very premature, the severity of the pathologies as well as more frequent use of invasive procedures. The risk of IN is multiplied by 5 if the weight is less than 1000 g. In Brazil, the lower the birthweight, the higher the risk of nosocomial infection. Indeed, birth weight < 1000 g multiplies the risk of NI by 8.5, whereas a Saudi study did not find low birth weight (birth weight < 1500 g) as a risk factor for NI (OR = 0.68) [16Merzougui L, Ben Helel K, Hanachi H, et al. H.Said-Latiri Facteurs de risque de l’infection nosocomiale Bactérienne au niveau d’un centre de néonatologie du Centre Tunisien. « Étude cas-témoin »: à propos de 184 cas. J Pediatr Pueric 2018; 31: 18-26. [http://dx.doi.org/10.1016/j.jpp.2017.12.001] ]. Maternal high blood pressure during pregnancy can lead to neonatal neutropenia [17Doron MW, Makhlouf RA, Katz VL, Lawson EE, Stiles AD. Increased incidence of sepsis at birth in neutropenic infants of mothers with preeclampsia. J Pediatr 1994; 125(3): 452-8. [http://dx.doi.org/10.1016/S0022-3476(05)83294-9] [PMID: 8071757] ]. In mothers with pregnancy toxemia, 50% of newborns will develop neutropenia with a ten-fold risk of nosocomial infection. Measures and recommendation guidelines published by the World Health Organization (WHO) and Society for Healthcare Epidemiology of America significantly emphasize the necessity of hand hygiene. Hand hygiene is the most effective method in preventing the transmission of pathogens while providing health care [18Kirtil I, Akyuz N. Precautions taken by nurses about the prevention of hospital-acquired infections in intensive care units. Pak J Med Sci 2018; 34(2): 399-404. [http://dx.doi.org/10.12669/pjms.342.14610] [PMID: 29805416] ]. Perianal area should be kept clean because feces, exudates or debris accumulate in catheter insertion site due to the properties of perianal area and make up a medium for microorganisms [18Kirtil I, Akyuz N. Precautions taken by nurses about the prevention of hospital-acquired infections in intensive care units. Pak J Med Sci 2018; 34(2): 399-404. [http://dx.doi.org/10.12669/pjms.342.14610] [PMID: 29805416] ]. Mechanical ventilation is the major factor in the emergence of nosocomial lung disease. There is a strong correlation between the incidence of pneumonia and the duration of intubation. The risk is major beyond 10 days of ventilation. In Egypt, a prospective incidence study showed that the use of mechanical ventilation increases the risk of developing NI in newborns by a factor of 5.4 [16Merzougui L, Ben Helel K, Hanachi H, et al. H.Said-Latiri Facteurs de risque de l’infection nosocomiale Bactérienne au niveau d’un centre de néonatologie du Centre Tunisien. « Étude cas-témoin »: à propos de 184 cas. J Pediatr Pueric 2018; 31: 18-26. [http://dx.doi.org/10.1016/j.jpp.2017.12.001] ]. In a systematic review and meta-analysis study about the effect of changing ventilator circuits in preventing ventilator-associated pneumonia concluded that routine change of ventilator circuits is not necessary and changing only when contaminated or damaged is adequate. In another study conducted in a pediatric ICU, there was no difference between changing ventilator circuit every three days or every seven days in terms of risk of ventilator-associated pneumonia [18Kirtil I, Akyuz N. Precautions taken by nurses about the prevention of hospital-acquired infections in intensive care units. Pak J Med Sci 2018; 34(2): 399-404. [http://dx.doi.org/10.12669/pjms.342.14610] [PMID: 29805416] ]. There is a close correlation between the incidence of pneumopathies and the duration of intubation. The average time to occurrence is 16 days, with extremes ranging from 3 to 36 days [19Stoll BJ, Gordon T, Korones SB, et al. Late-onset sepsis in very low birth weight neonates: A report from the National Institute of Child Health and Human Development Neonatal Research Network. J Pediatr 1996; 129(1): 63-71. [http://dx.doi.org/10.1016/S0022-3476(96)70191-9] [PMID: 8757564] ]. Vascular catheterization is the main factor associated with bacteremia in NICUs and level II units. The duration of catheterization is a major risk factor: Risk multiplied by 2.5 over 15 days of catheterization; by five for a catheterization of umbilical vein over seven days [20Fowlie PW, Schmidt B. Diagnostic test for bacterial infection from birth to 90 days. A systematic review. Arch Dis Child 1998; 78: 92-8. [http://dx.doi.org/10.1136/fn.78.2.F92] ]. Guidelines published by Centers for Disease Control and Prevention point out that renewing peripheral intravenous catheters every 72 to 96 hours decrease the risk of phlebitis and bacteriemia and catheters that are not inserted in asepsis due to emergency should be renewed within 48 hours in compliance with asepsis principles. According to another study which reviewed seven different studies that evaluate a total of 4895 patients concluded that there is no significant difference in terms of infections between changing the catheter routinely and changing only when required. One study reported that there were no complications in peripheral catheters that stayed for more than 96 hours. In this study, we found that 64.7% of the nurses change peripheral intravenous catheters every 72 to 96 hours. This is not compatible with the current literature may be due to the fact that most patients were treated in the intensive care units have central venous catheters and nurses were available all the time in these units [18Kirtil I, Akyuz N. Precautions taken by nurses about the prevention of hospital-acquired infections in intensive care units. Pak J Med Sci 2018; 34(2): 399-404. [http://dx.doi.org/10.12669/pjms.342.14610] [PMID: 29805416] ]. Nosocomial infections are a major public health problem, with serious and extreme consequences not only of morbidity and mortality, but also in economic terms and, we may probably fearin legal terms soon. In neonatal pediatric wards, where patients are treated for extreme fragility and total dependence, this problem is of paramount importance, requiring in-depth research to adopt appropriate preventive measures. The main measures recommended are to strengthen prevention catheter-associated infections, to reduce cross transmission of multi-resistant germs and to limit their appearance by controlling the selection pressure. We insist on the need to inrease awareness of all the relevant staff at different levels. CONSORT guidelines and methodology were followed to conduct the clinical trial study. Chen YC, Lin CF, Chen JC, et al. Reduced nosocomial infection rate in a neonatal intensive care unit during a 4-year surveillance period. J Chin Med Associat 2017; 80(7): 427-31. Deslanques L, Mathieu G, Gottor S. Infections nosocomiales en réanimation pédiatrique. Expérience du reseau REAPED Amette Blackwe M. 1996; 19-28. Guilbert M, Boithias C. Infections nosocomiales néonatales MT pédiatrie 1999; 2: 95-103. Épidémiologie des infections bactériennes nosocomiales dans une unité de réanimation néonatale et pédiatrique tunisienne Med Mal Infect 2006; 36: 379-85.